After last night's decision in the Trayvon Martin case, many Americans errupted in anger and disappointment about George Zimmerman's acquittal. 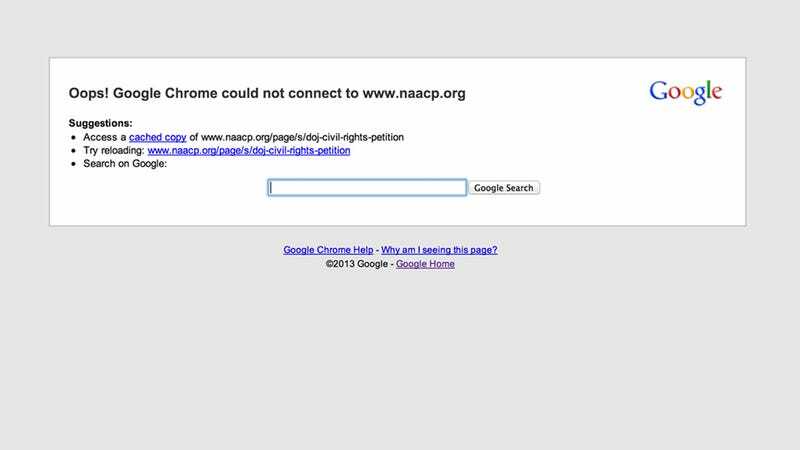 Almost immediately following the decision, the NAACP posted an online petition for federal prosecution of Zimmerman. And the site got so much traffic that it crashed and has been in and out ever since. MoveOn.org has been continuing the effort, but their site is also overwhelmed and crashing on and off. We are not done demanding justice for Trayvon Martin . . . The most fundamental of civil rights—the right to life—was violated the night George Zimmerman stalked and then took the life of Trayvon Martin. We ask that the Department of Justice file civil rights charges against Mr. Zimmerman for this egregious violation. Please address the travesties of the tragic death of Trayvon Martin by acting today.